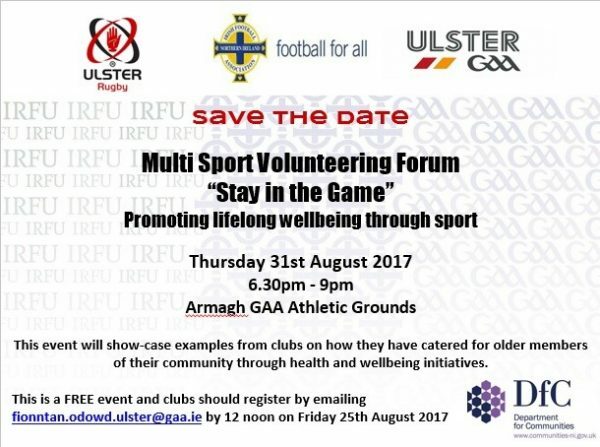 Ulster GAA in partnership with Ulster Rugby and the Irish FA are hosting a multi-sports volunteering forum ‘Stay in the Game – Promoting Lifelong Wellbeing through Sport’ on Thursday 31st August 2017 from 6:30pm – 9pm in the Athletic Grounds, Armagh GAA. The event is suitable for club volunteers from all three sports with a focus on health and wellbeing for people aged 55+ in sport. 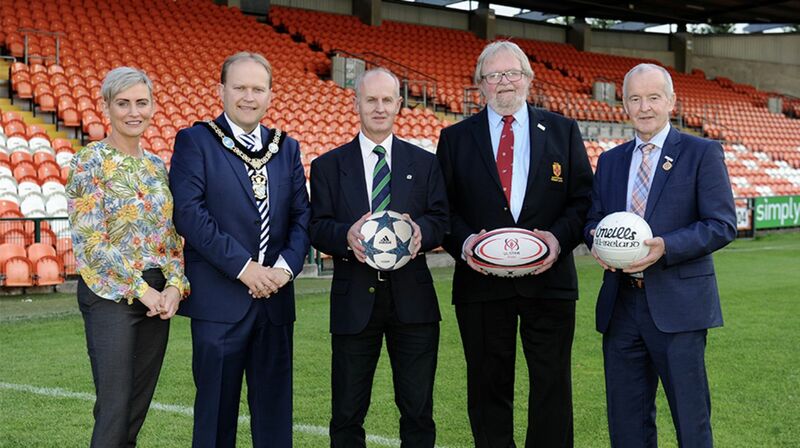 People aged 55+ wanting to become involved in sport are also very welcome to attend.